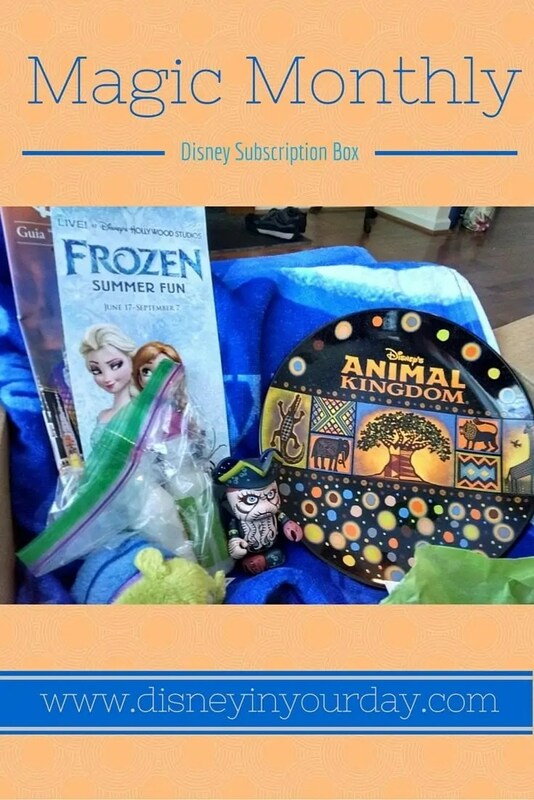 Today I am super excited to bring you another Disney subscription box review! This one is called Magic Monthly, and one of the best parts about it is that they have a variety of different sized boxes for many different budgets. The one I was sent for review was the Wishes box, which is $20 plus $10 shipping. That box guarantees at least three items (though I got 4 plus some samples). 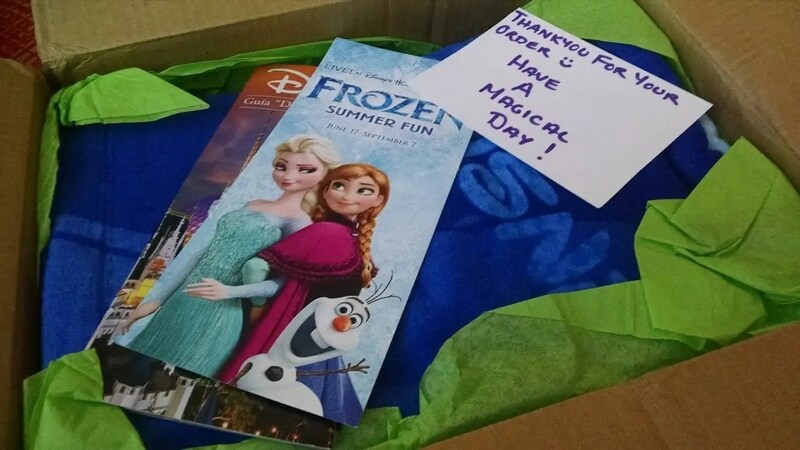 Another cool thing about this Disney subscription box is that they have now introduced a special themed box every month. So you can order a regular box with random Disney goodies, or you can get the themed box. For example, this month the theme was Grim Grinning Ghosts, so it was filled with Haunted Mansion stuff! All of their boxes are a one time purchase, so you’re not locked in to getting it every month. It’s perfect to treat yourself every now and then! When I first opened the box there was a nice handwritten note thanking me for the order. I liked that personal touch. There was also a park map and a pamphlet about Frozen summer fun, which is a nice way to get “in touch” with the parks even when you’re not though. Although for some reason the map was in Portuguese so I couldn’t actually read it, haha. The first item on top was a Disney World beach towel. Even though it’s the end of summer I know I’ll get some use out of it this year and other years, and it’s cute too – it has Walt Disney World on it and a picture of Mickey. 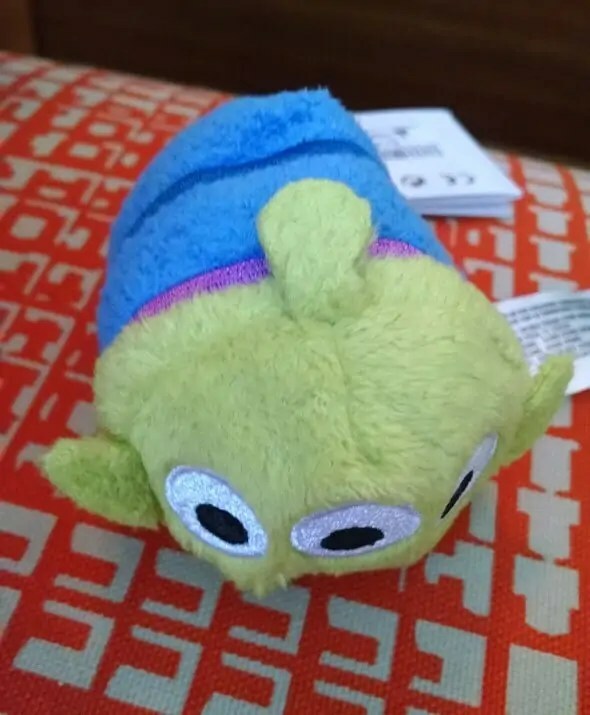 Next there was a tsum tsum! I absolutely love collecting tsum tsums, and I know that you can’t find the Toy Story ones anymore (at least around here). I actually already happen to have this guy, so I may see if any of my friends or other collectors are interested or need him. Another Disney collectible was a vinylmation. This happens to be something else I collect, so that was nice too. This one was from the Pirates of the Caribbean 2 set. If you’re not familiar with vinylmation, each box is a mystery so you don’t know which figure you’ll get. I ended up with Davy Jones! 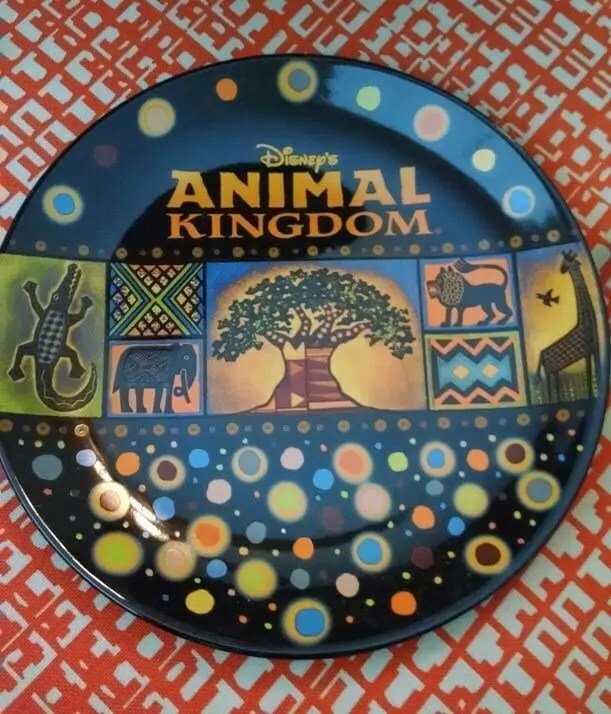 And finally, my absolute favorite item in the box – an Animal Kingdom plate. I love the colors and the design -everything about it! I haven’t seen this before either so it was a nice surprise. Animal Kingdom is one of my favorite parks (right behind Magic Kingdom), so it was very cool to get this. 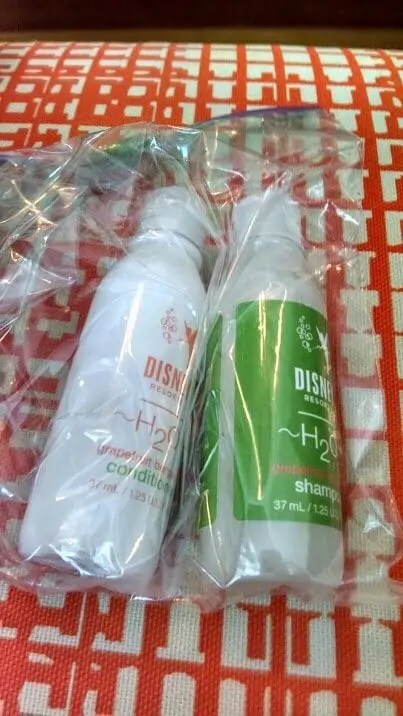 Also included was a sample of the shampoo and conditioner found at the Disney hotels. Which these don’t necessarily have monetary value, I do think they help remind you a little bit of Disney when you use them so it’s neat that they were included. Overall I thought Magic Monthly was a really great Disney subscription box! The shipping cost is a bit high, but for the $20 for the box itself you really got a fantastic deal considering everything that was inside here. If I wanted another Disney box but didn’t have a huge budget for some of the more expensive ones, I would definitely get this one!! Thanks so much for your review! We’ve taken several cherished family vacations to Disney and it would be great to have some of those memories land on our door step each month. 🙂 I’ll definitely have to check this one out, as I agree that shipping seems a bit high, but $20 for a box is a pretty reasonable price for a subscription service. 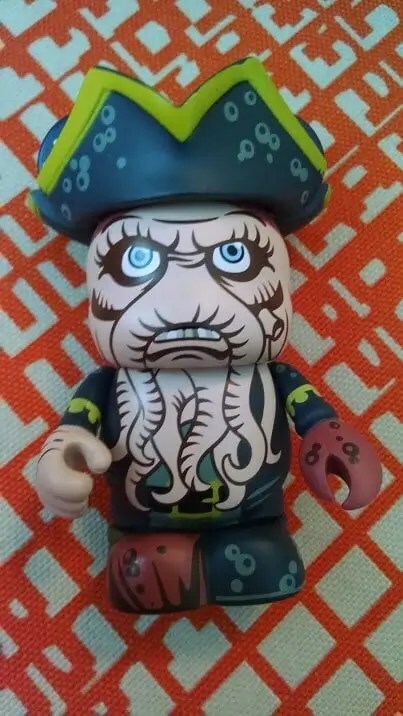 I believe that vinylmation is Davy Jones not Capt. Barbosa. This is so cool!! I want this too! I had NO idea about these boxes but as a huge disney fan, I know what I’m ordering tonight! Yay!! I would love to see what you get if you want to share on instagram or facebook 🙂 @disneyinyourday! Do you think this is just a single person putting together these Disney boxes? Or is it an actual company? The Beach towel is really neat and I would have been happy to receive that, but I don’t collect those other things. Good question. I think that some of the boxes are individual people and others are companies/groups of people – this box I believe is just one person. It is definitely a little bit of gamble with what you are going to get! I’m glad to introduce you to some other choices! I haven’t heard of Pixie Dust Delivery but maybe I’ll have to try them out so I can share an honest review.